Discover a new mantra by way to live your life. Listen to this free ten minutes meditation now to experience the benefits that can come your way. This book is an introduction to mindfulness and to mindfulness meditation. In addition to exploring the benefits to our health and well being, as a practical ex-BBC TV engineer, I explain how we can use the practice of mindfulness meditation to get real world results. Just imagine then by meditating for just 10 minutes every day that you could improve not just your health but your increase your wealth too. Just imagine if you could generate more time and give both your creativity and productivity a boost. Just imagine being luckier in life and in luck. Just imagine stepping into a new way of being in just 21 days. 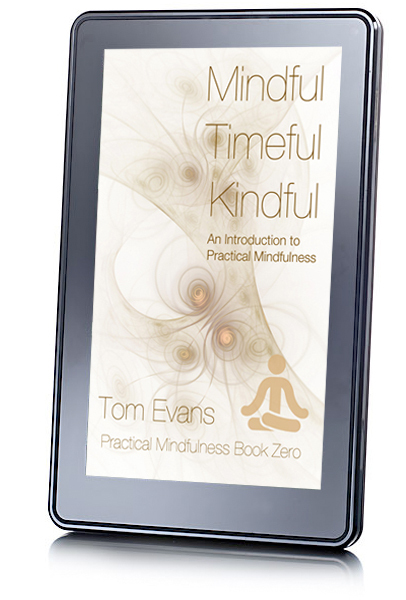 Mindful Timeful Kindful is the intentionally short and inexpensive book in a new series that will show you how to do this and more. It shows how by being mindful we can generate more time and therefore become time-full as a result. When we then have more time on our hands, this opens the doors to us being kind-full. This kindfulness starts with us first and then puts us in a great position to be kind to others – and the planet. Its premise is simple, its practice just needs 10 minutes a day of ‘me time’. Its results will change your world and, quite possibly, the world as a result.